The much awaited version of Adobe Photoshop for iOS has just hit the App Store! The all new Photoshop Touch for iPad is basically a fully touch-optimized experience of the desktop counterpart, featuring support for core Photoshop features such as layers, selection tools, adjustments, filters and more to let you create professional looking images right from the convenience of your favorite tablet. 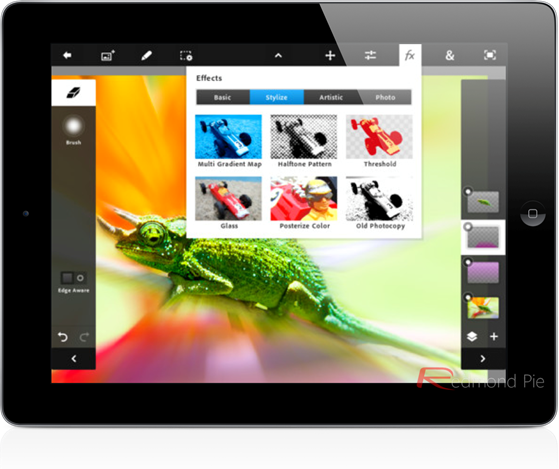 Photoshop Touch also features support for importing images to your project from multiple sources such as Facebook, Google Images, or directly from your iPad 2’s camera – all from within the Photoshop Touch app. In addition to this, Photoshop Touch allows you to share your work with your friends and family on popular social networking sites such as Facebook. You can also view Facebook comments that your friends have left on your images right from within the app itself. Touch-optimized interface with support for gestures. Core Photoshop features such as layers, selection tools, adjustments, filters and more. Ability to import images from Facebook, Google Images, or device’s camera. Sharing on social networks such as Facebook. Support for AirPrint wireless printing. Sync project files between Photoshop CS5 for Windows/Mac and Photoshop Touch for iPad using Adobe Creative Cloud. Unfortunately though, due to technical requirements, Adobe has left out support for the first-gen iPad users. Photoshop Touch is available for iPad 2 only, and that too running the latest iOS 5. Adobe’s Photoshop Touch has also been available on select Android devices since November last year [Android Market link]. Currently available on New Zealand App Store, Photoshop Touch for iPad is propagating through the App Stores worldwide as we speak. According to 9to5Mac, it shouldn’t be too long before it is available on in US and European App Stores. 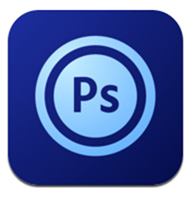 UPDATE: Photoshop Touch now available on iTunes App Stores worldwide.